Today’s culture is marked by individualism. The iPod is the mascot for a culture where everyone wants to express themselves. The desire for personal distinction increases in a world where the population has become so large and communication so vast that the only thing you can claim as strictly, personally, yours is your DNA. It is into this culture that the church is challenged to run counter culture. 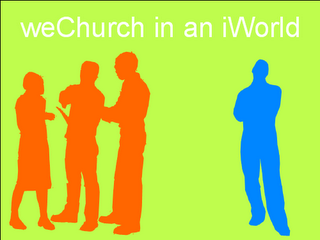 The church is described in the Bible as a body; all working together for the common good. 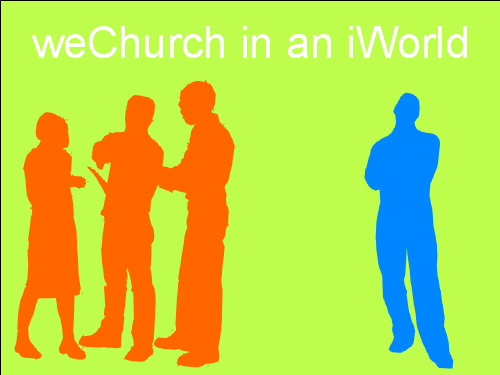 We may live in an iworld, but God has called us to become a weChurch. For the next four weeks we are going to look into our culture of individualism and see the lonely individuals around us who are starving to connect. People long to be a part of something that is greater than themselves, to belong to a place where true community exists. This community is what the Bible calls the church.